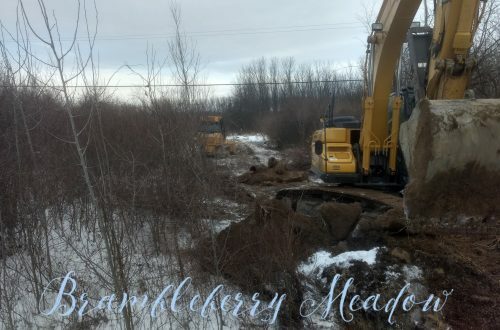 As we move closer to actually breaking ground – probably in the spring, now that subzero temperatures have settled quite thoroughly into the area – I got an E-mail from my builder asking if the architect had provided a site plan. Well, not so much. But I did send him a little plan I had draw up myself. The lighter pink swath is the driveway, leading directly to the house. The garage is set back a little from the front of the house, so that the whole thing doesn’t seem like a garage with a small house attached. North is up, in the standard convention, by the way. The little building furthest to the East is a sugar shack/brew house. That puts it close to the sugar bush, a little away from the house, but not so far that it’s a slog in the snow. Just North of the house we’ll put the chicken coop, and past that, the barn. Way up at the top? Beehive. I’m hoping to do a Slovenian Bee House. Ideally, I’ll find someone who makes them in that style, sized to the typical American frames so that those are easy to replace. 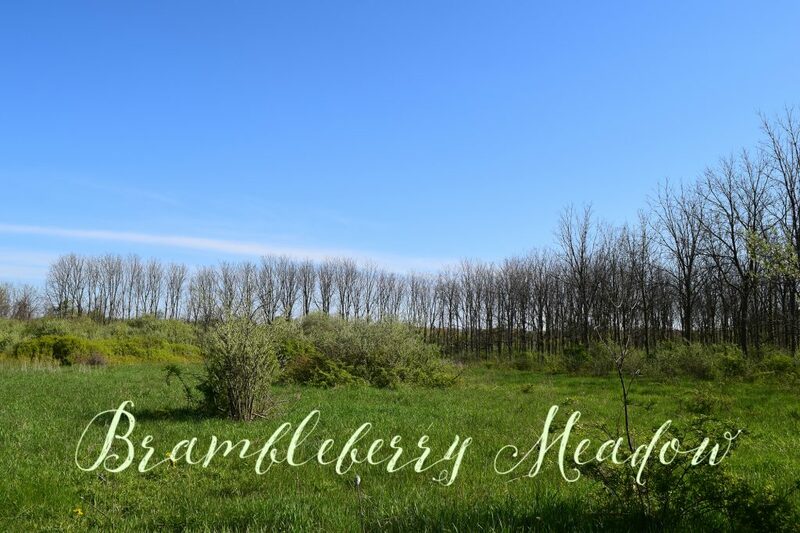 Most of the wild brush in the front will be cleared away. 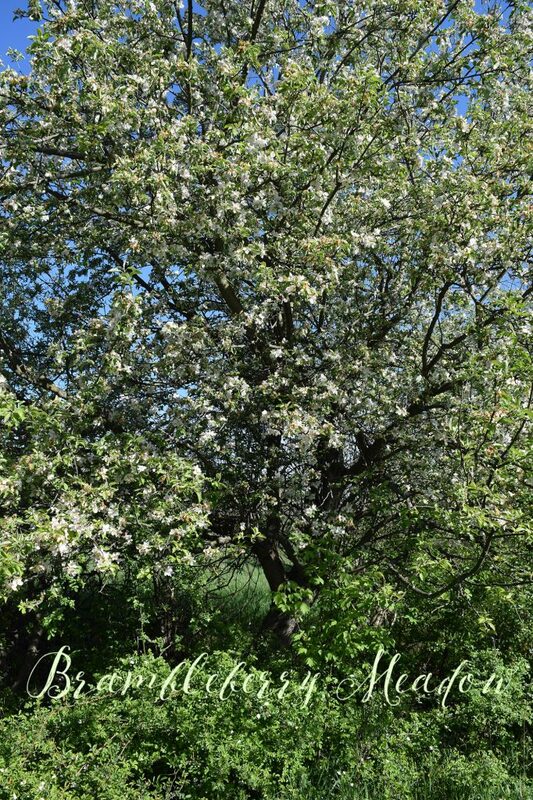 There is one venerable old apple tree that I wanted saved. It’s quite lovely, and puts out a decent crop even though it hasn’t been pruned or tended in years. Now what remains to be decided is what, in the short term, will go where. 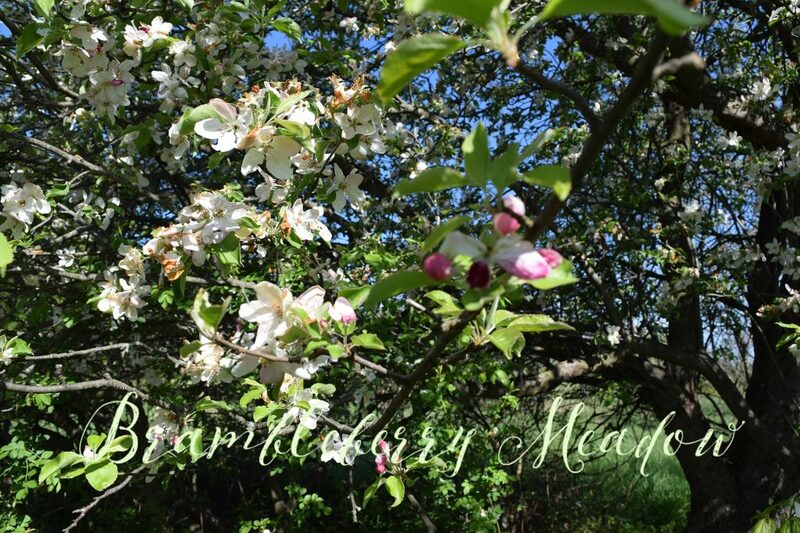 We have plans for a small orchard – more apples, some peaches, pears, and cherries. But they’ll probably need to NOT go where the current tree is. 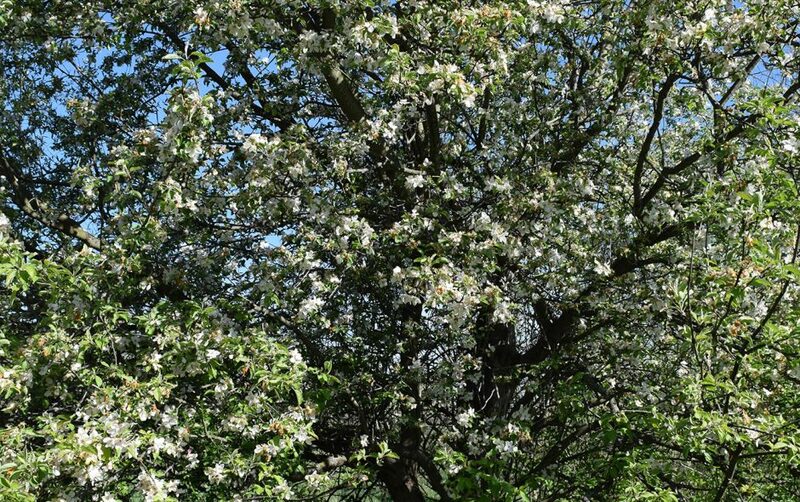 A single tree can be worked around, but a small orchard will need some space. 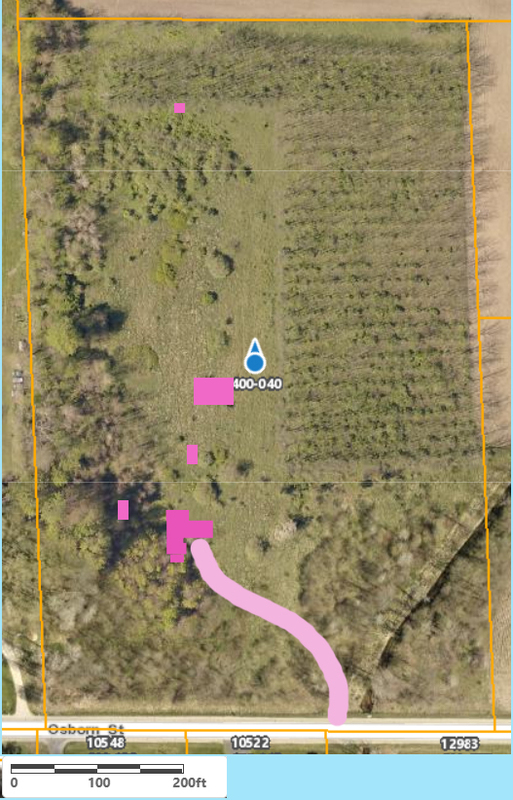 The orchard site will need to be far enough from the west fence row not to be too shaded, and far enough from the walnut trees not to be affected by the chemical that they produce that inhibits other plants. And then there are the berry patches. Raspberries and blackberries need to be kept somewhat separate from each other AND from the wild brambles that might carry disease. I would like some gooseberries and currant, but we live in a portion of the state where growing them is restricted to certain varieties. The listing doesn’t appear to have been updated for some time, so I may end up trying to compile evidence that some of the newer varieties are resistant to White Pine Blister Rust to get permission. They’re more shade tolerant, but will still need a nice sunny spot. Regular garden beds should be close to the house so that we both tend and use them. Probably between the house and the chicken coop. We may have to get that far, and then see how we can best arrange the rest. At the moment, we’re planning to start with some of the smaller livestock (chickens, ducks, rabbits), so permanent pasture and housing for bigger critters might get moved around a bit as we go. 10 acres seems like a lot, until all the sudden it doesn’t.